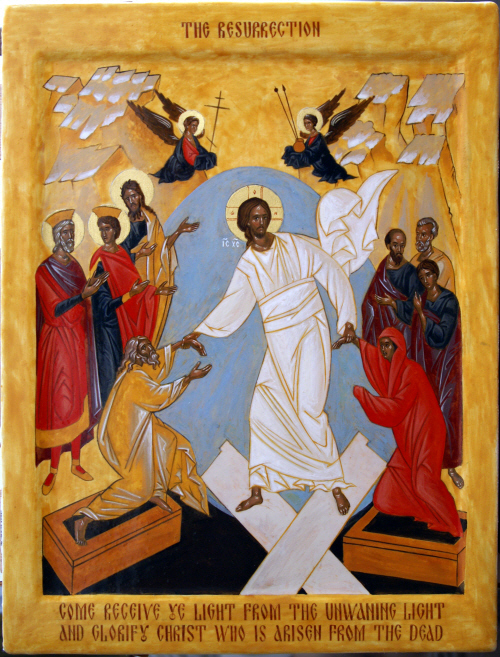 Christ is risen, alleluia! The Lord is risen indeed, alleluia! Easter is the greatest celebration of the Christian year. As befittting this and other great occasions, we begin Compline with a procession from the chapel behind the main altar of the Cathedral, down the side aisle, to the corner where we sing the office. It’s been an Easter tradition since 1970 to sing the Easter Canticle by our founder and director from 1956-2009, Peter Hallock. He wrote it for choir and handbells — specifically the “Flemish” type of handbells that St. Mark’s Cathedral bought in the 1960s. We play the bells as we walk and sing; we walk carefully, since the company that made the bells went out of business, and they are irreplaceable. But in that he liveth, he liveth unto God. But alive unto God through Jesus Christ our Lord. And become the firstfruits of them that slept. By man came also the resurrection of the dead. The period of Easter will last for fifty days until Pentecost, and for all the Sundays at Compline during this time we sing “Alleluia” after the antiphon (“Preserve us, O Lord, while waking…”) of the Nunc Dimittis. On Easter Sunday we sang, as a second anthem, the Regina caeli laetare in a setting by the sixteenth-century English composer Robert White (ca. 1538-1574). This is one of the four Marian Antiphons, chants to the Virgin Mary that are sung at the end of Compline in the Roman Rite during the four seasons of the church year; Regina caeli is sung from Easter Sunday until Trinity Sunday. Also, we sang the sequence (a medieval type of hymn) Victimae paschali laudes. But Victimae paschali is a special favorite of mine — so I will wait for another entry to describe this beautiful chant. Next Sunday, May 1, Seattle’s Renaissance Singers will be streaming their Compline service at 7pm PDT from their website; I hope you can join them. 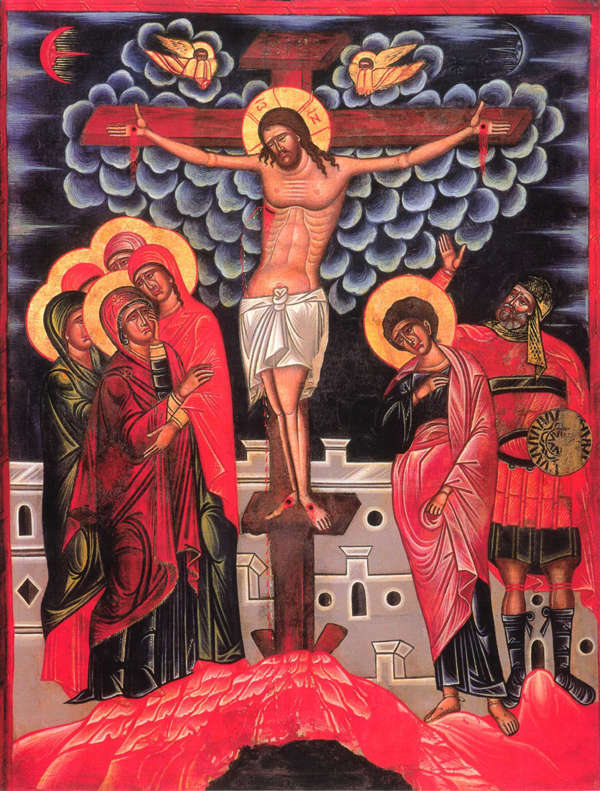 The forty days of Lent are almost over, and now the great Easter Triduum (Maundy Thursday, Good Friday, and Easter) has begun. Last Sunday we began Holy Week with a triumphal procession, but with the reading of the Passion story from Matthew, the tone changed from exultation to that of grief and lamentation. Last Sunday’s Compline service and one of the anthems we sang during Lent – the Tallis setting of the Lamentations of Jeremiah- express this mood of sorrow. Now bows before the yoke of death. Into your hands I commend my spirit * for you have redeemed me, O Lord, O God of truth. Aleph. How lonely sits the city that once was full of people! How like a widow she has become, she that was great among the nations! She that was a princess among the provinces has become a vassal. Beth. She weeps bitterly in the night, with tears on her cheeks; among all her lovers she has no one to comfort her; all her friends have dealt treacherously with her, they have become her enemies. (Refrain) Jerusalem, Jerusalem, return to the Lord your God. As we enter these days of lamentation and hope, we find consolation through the communal expression of our sorrow. May you have a most blessed and happy Easter.